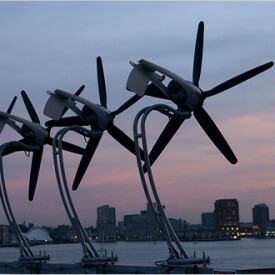 Once building energy efficiency measures have been implemented, a facility’s remaining energy use needs can be met using a portfolio of distributed (on-site) renewable energy technologies. 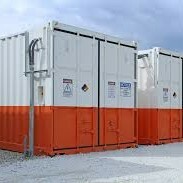 In addition, energy storage systems can be installed to reduce peak demand charges and provide emergency back-up power. If space is limited, facility owners can increase their green power supply by purchasing renewable energy certificates (RECs) from remote solar and wind farms. To support your organization in its pursuit of a comprehensive distributed renewable energy strategy, we have selected a few resources that may be helpful for getting started. Optony Inc. and World Resources Institute. 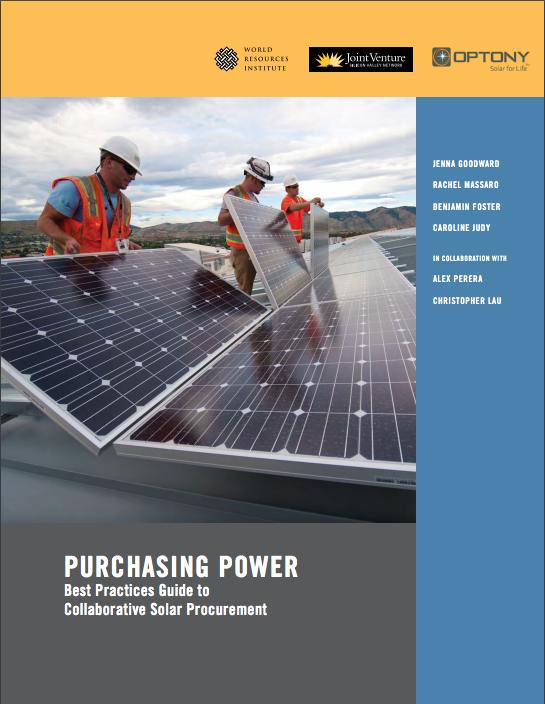 Purchasing Power: Best Practices Guide to Solar Collaborative Procurement. This Best Practices Guide is intended to assist commercial and government entities in the process of organizing and executing a collaborative solar purchase. 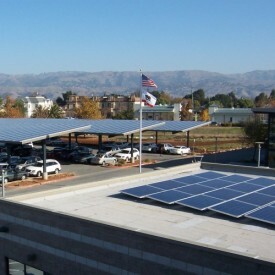 Interstate Renewable Energy Council. Solar Power Purchase Agreements: A Toolkit for Local Governments. 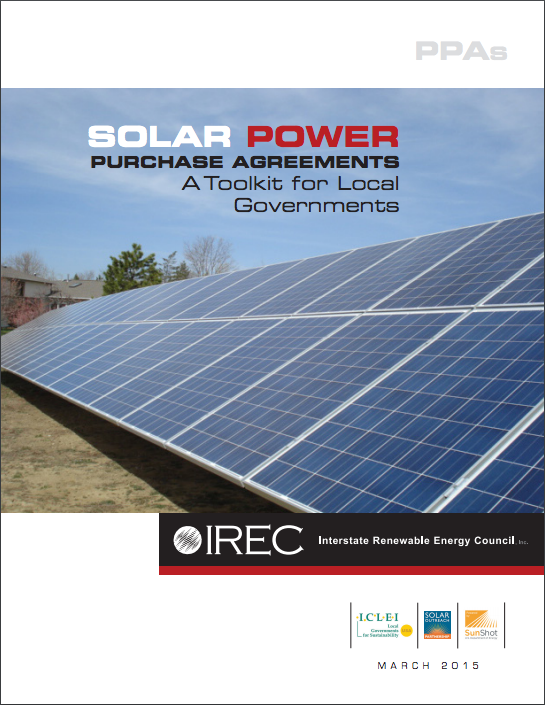 In an effort to reduce solar soft costs and assist local governments and other public entities seeking to install and finance rooftop solar systems, IREC developed a comprehensive toolkit on retail solar PPAs. National Association of Regional Councils. 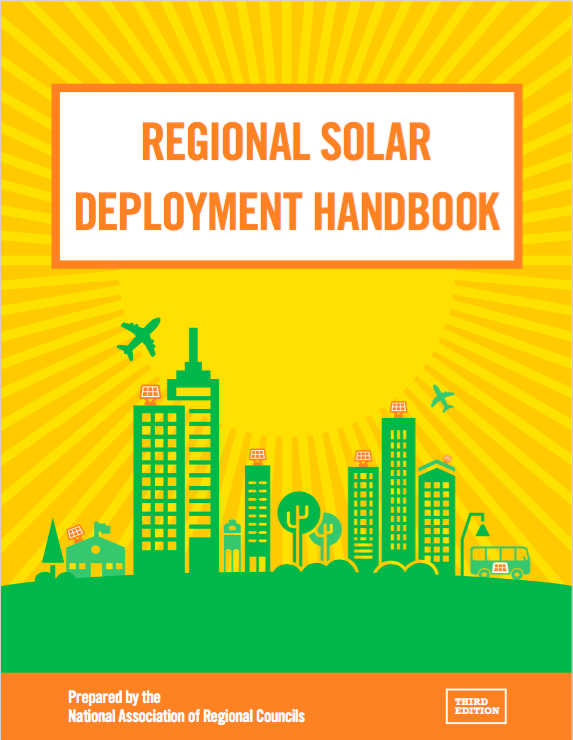 Regional Solar Deployment Handbook. The handbook identifies seven key strategies that regional councils can use to successfully drive solar adoption in their jurisdictions, which focus on regionally-specific actions, tools and case studies. 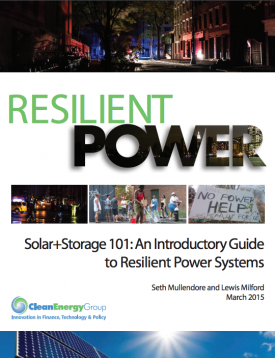 and understanding of solar+storage systems. 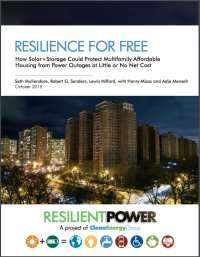 How Solar+Storage Could Protect Multifamily Affordable Housing from Power Outages at Little or No Net Cost The report contains the first public analysis about whether it is economical to install solar+storage in affordable housing—making a strong case for greater public and private support for solar+storage development in affordable housing to serve critical public needs. 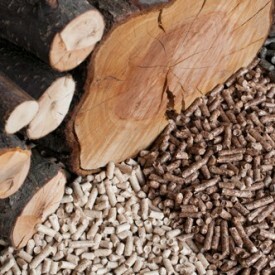 U.S. Environmental Protection Agency’s Green Power Partnership. The Green Power Partnership is a voluntary program that encourages organizations to use green power as a way to reduce the environmental impacts associated with conventional electricity use. 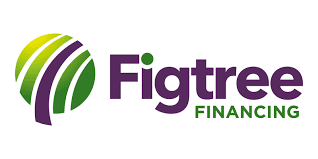 We have compiled renewable energy & energy storage financial incentives and programs available to residents and business owners in our participating Sustainable Energy Roadmap communities in California’s San Joaquin Valley. 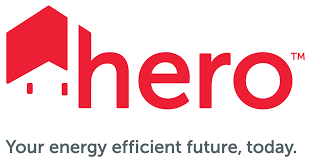 Local Finance Commercial PACE clean energy project financing for renewable energy and energy storage technologies. National Renewable Energy Laboratory. 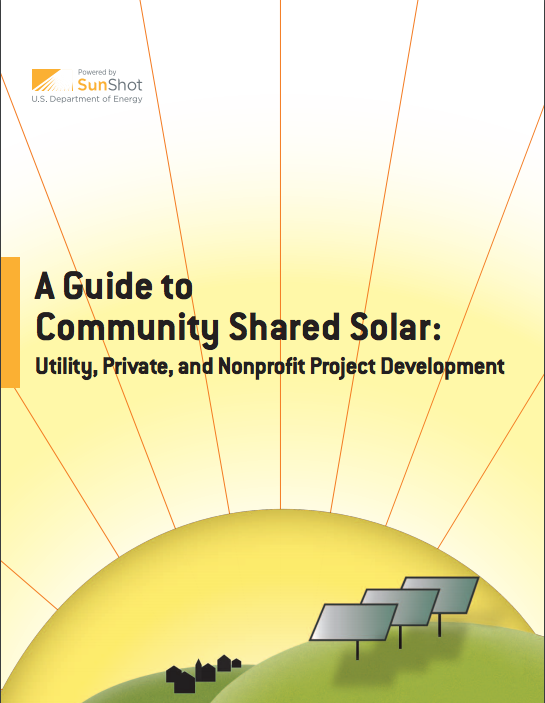 A Guide to Community Shared Solar: Utility, Private, and Nonprofit Project Development. 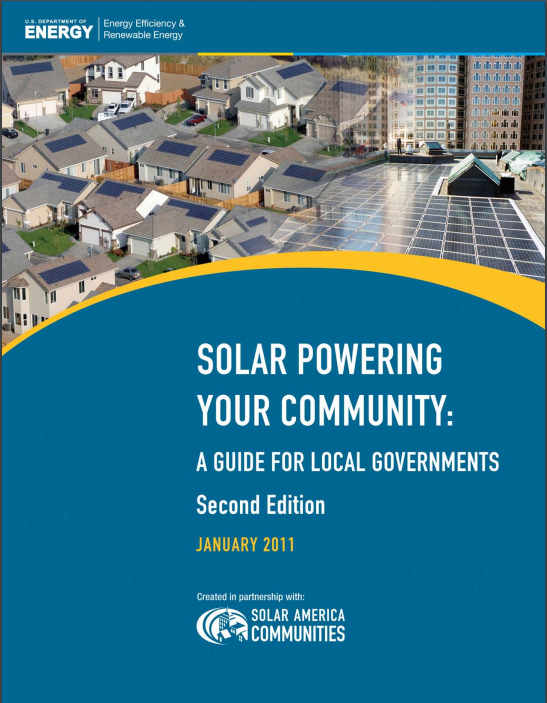 This guide is a resource for those who want to develop community shared solar projects, from community organizers or solar energy advocates to government officials or utility managers. 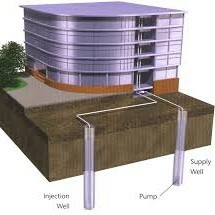 The Solar Foundation. 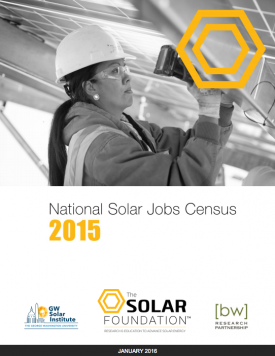 2015 National Solar Jobs Census. The Solar Foundation’s National Solar Jobs Census 2015 is the sixth annual update of current employment, trends, and projected growth in the U.S. solar industry. National Renewable Energy Laboratory. 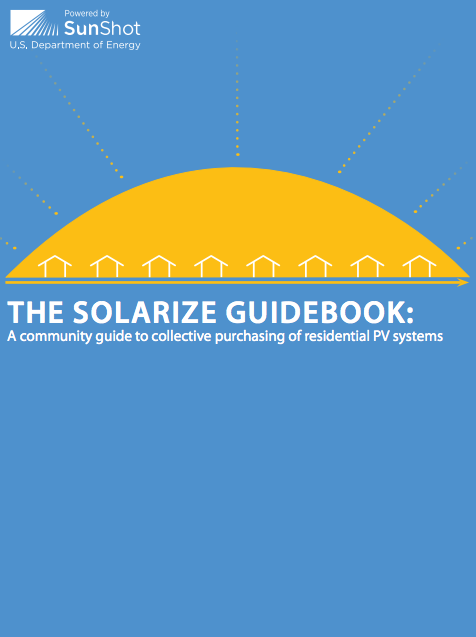 Solarize Guidebook: A community guide to collective purchasing of residential PV systems. 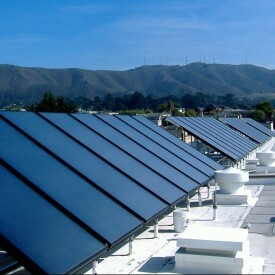 This guidebook is intended to be a roadmap for project planners and solar advocates who want to create their own successful Solarize campaigns. It describes the key elements of the Solarize Portland campaign, along with lessons learned and planning templates. National Renewable Energy Laboratory. PVWatts® Model. NREL's PVWatts® Calculator Estimates the energy production and cost of energy of grid-connected photovoltaic (PV) energy systems throughout the world. 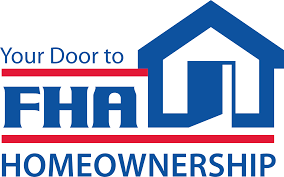 It allows homeowners, small building owners, installers and manufacturers to easily develop estimates of the performance of potential PV installations. National Renewable Energy Laboratory. 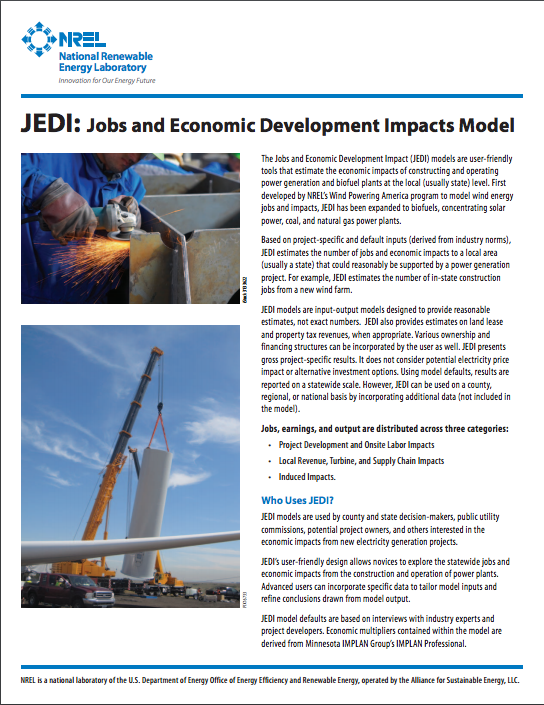 Jobs & Economic Development Impacts (JEDI) Model. The JEDI model is a user-friendly screening tool that estimates the economic impacts of constructing and operating power plants, fuel production facilities, and other projects at the local (usually state) level.